I’ve been on a citrus kick lately. Perhaps I am subconsciously trying to ward off scurvy with all of this vitamin C.
When I saw this recipe for citrus kosho in Aki Kamozawa and Alex Talbot’s new book Maximum Flavor it grabbed my attention right away. If you read Aki and Alex’s blog, Ideas in Food, you know they are some of the most curious and imaginative food bloggers out there. They have a creative approach to cooking. They think of a kitchen as an experimental place, a place to play with techniques and flavors and gadgets. They don’t post many recipes on their blog. They tend to focus instead on works in progress and on their thought processes behind their cooking experiments. They’re willing to try all sorts of crazy methods to coax flavor out of ingredients, some of which don’t work at all, but their failures are almost as fascinating learning experiences as their successes. I find their work inspiring. It’s because of them that I’ve pulled out the pressure cooker to caramelize milk powder and am trying to think of what other ingredients might benefit from being treated this way. Their first book, Ideas in Food, gave me my go-to brioche recipe and plenty of food for thought on how I could integrate modernist techniques and ingredients into my cooking at home. Their first book was divided between ideas for the home cook and ideas for culinary professionals, which meant that some of it was out of reach for those of us without fancy tools like immersion circulators and CVaps in our kitchens. Their new book focuses solely on recipes and techniques for the home cook, which I like. This citrus kosho is probably one of the most conventional recipes in the book. It’s a take on yuzu kosho, a fragrant, spicy, salty Japanese condiment made with yuzu peel and chilies and salt. A kosho is basically a Japanese chili paste. Because yuzus are tough to find in the U.S., Aki and Alex use a blend of limes and lemons with a bit of grapefruit and orange and lemongrass thrown in. After grating all that zest and chopping that lemongrass, my kitchen smelled outrageously fresh and clean and wonderful. I’ve never tasted bottled yuzu kosho, so I have nothing to compare mine to, but I really love the bright heat this fresh citrus kosho has. And it isn’t all that difficult to make. 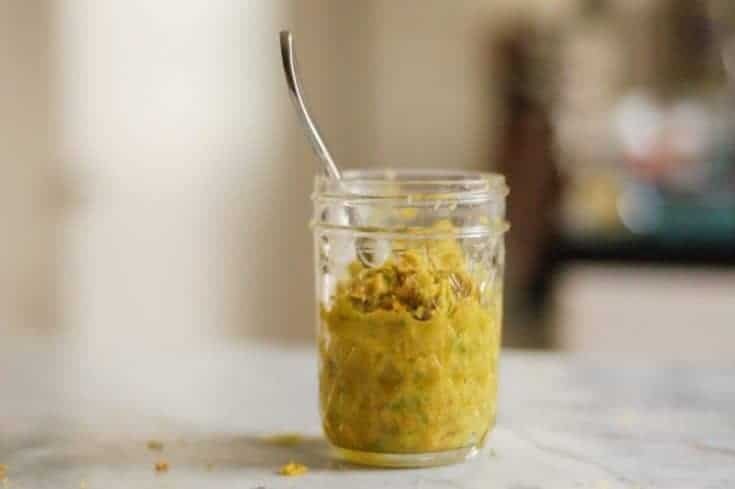 There’s lots of grating zest and a little chopping and a lot of pounding everything into a paste with mortar and pestle (you could use a food processor if you wanted to make it even easier). Yesterday, I used this in a lime-sesame-soy salad dressing, which was outrageously good. I have plenty of other ideas on things to try with this in the future, too. I have a feeling that mixed with a little ponzu or tamari it would also make a great dipping sauce for tofu or tempura or sashimi. 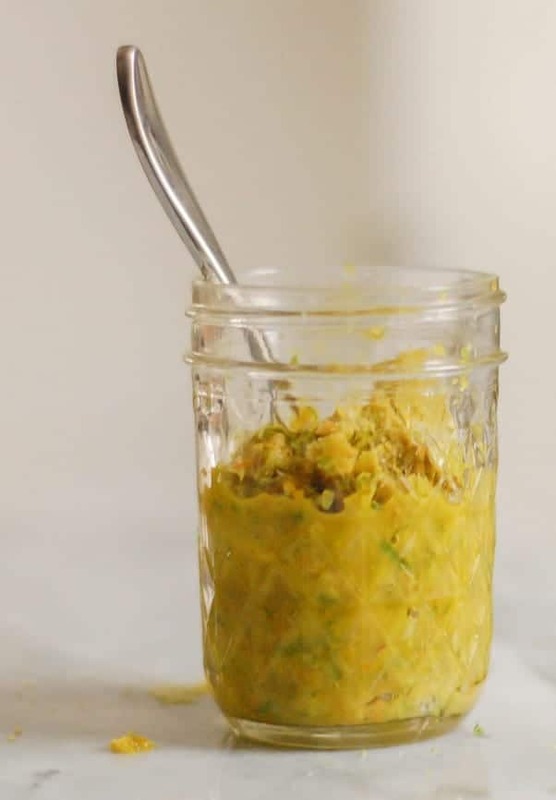 This citrus chili paste is a fresh take on the traditional Japanese yuzu kosho, substituting limes and lemons and orange and grapefruit for the tough to find yuzu. It’s fragrant and salty and hot. You’ll want a microplane and a mortar and pestle for this recipe. If you don’t have or don’t want to use a mortar and pestle, you could finish this in a food processor or in a blender for a finer paste. The lemon, orange, and lime oils are completely optional. They add an extra dimension to the overall flavor, and are worth using if you have them around, but probably not worth buying just for this. Zest the lemons, limes, along with the grapefruit and orange into a medium bowl. Remove the fibrous outer layers and tops and bottoms from the lemongrass, leaving the tender center of the stalk. Finely chop the center of the stalk and add to the bowl. Finely slice the serrano chili, and add it, seeds and all, to the bowl. 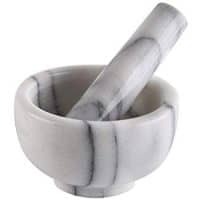 Transfer the ingredients to a mortar, add the salt, and pound with a pestle until everything combines into a rough paste (alternatively, blend in a food processor or blender into a fine paste). Juice one half of a lemon and one half of a lime and add the juice to the paste and stir. If using, add the lemon, orange, and lime oils, and stir. Transfer to a jar and refrigerate for at least two days to allow the flavors to mingle before using. Will keep in the refrigerator for about a month.